Do you want to enjoy the benefits of cannabis without the psychoactive effects? Maybe you need pain or anxiety relief, but you don’t want the couch-lock after-effect you usually get with regular pot. Miracle Smoke may just what you’re looking for. Designed to make you feel good without sending you over the moon, this e-liquid is marketed as a good fit for liquid vaporizers. 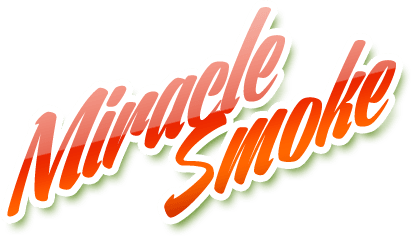 Miracle Smoke is a CBD e-liquid designed for use in liquid vaporizers. And if you thought this e-liquid was anything like the cherry-flavored juice you normally use, you’d be terribly wrong. 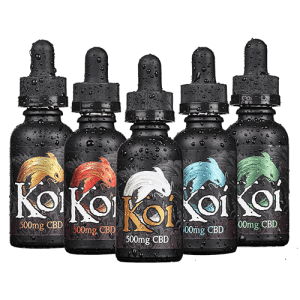 Now you can enjoy the calming benefits of cannabidiol without worrying about breaking the law or losing your job. But if CBD oil comes from the cannabis plant, won’t it get me high? I’m glad you asked. Does Miracle Smoke Get You High? No, CBD won’t get you high. Marijuana contains more than 60 compounds, but there are two that get the most attention: THC and CBD. THC is the compound most people recognize. This component is responsible for the psychoactive effects of marijuana, or the “high” feeling when you smoke or vape herb. CBD, or cannabidiol, is the non-psychoactive component of cannabis. And this component is naturally occurring in the hemp plant. CBD is responsible for a large portion of marijuana’s health benefits, and it actually has the opposite effect of its psychoactive counterpart. That’s great news for medical patients who are only interested in the healing aspects of cannabis. You know that CBD doesn’t get you high, but you may not know why. The main difference between THC and CBD is how each compound reacts with the CB1 receptor, which affects the brain and central nervous system. THC binds well with the CB1 receptors in your body, while CBD binds poorly. When CB1 receptors are active, they can increase appetite and create feelings of bliss. CBD has the opposite effect. In fact, scientists call it the CB1 antagonist because it suppresses the stimulating qualities of THC. In other words, CBD subdues the psychoactive effects of THC. That’s why people get paranoid or experience other uncomfortable side effects when smoking high-THC strains of marijuana. In strains with a higher CBD ratio, the CBD counteracts THC’s effects, leaving you feeling high without those nasty side effects. If you’re looking for a safe, legal way to reap the benefits of CBD oil, Miracle Smoke is a great place to start. Where is Miracle Smoke made? 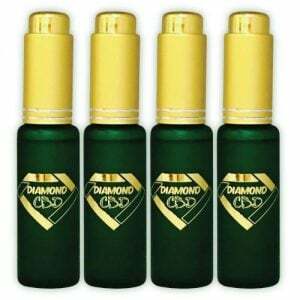 Miracle Smoke was at one time called the best CBD vape oil but we do not agree and think it is not even in the Top 10 options. The main reason being is that it is not sourced in the United States or Europe. It is made in India and they do not have the same requirements and that is a red flag for us. You never need a prescription. You don’t have to jump through hoops to get a bottle. You never have to worry about breaking the law. Another nice thing is that if you find that vape oil isn’t right for you, Miracle Smoke also offers CBD gummies and other edibles that have the same beneficial effects as the oil. There was a reason why so many people choose Miracle Smoke over other CBD vape oils a few years ago. They were one of the first companies to hit the market. With time, their product line-up has not aged well and we no longer recommend them. We suggest you consider using Elixinol instead for vape oils. Why? They use proven, natural ingredients that are sourced in the USA. With Miracle Smoke, we cannot be sure about their ingredients. So while they claim to be non-toxic and natural, it is not 3rd party verified so we cannot feel good about vaping with this oil at the current time. Again, without USA sourcing and 3rd party verification, anyone can claim to have the highest quality CBD oil from industrial hemp plants. So we are not just going to take their word for it. Does Miracle Smoke Really Work? Miracle CBD pills are also effective. Take a look at the many positive Miracle CBD oil reviews on the web. From pain to anxiety, Miracle Smoke offers a number of benefits that everyone can enjoy – and without forcing you to go to a doctor to get a prescription. Where can you find Miracle Smoke’s CBD oil for sale? There is a big catch though… That was in 2014 and the industry have evolved rapidly over the past 4 years. So don’t start your CBD journey with Miracle Smoke or any other non-3rd party tested oil. You have many great options now for CBD companies that allow you to know exactly what you are getting and you can be confident with the ingredients. Here are a few of our favorite brands for vape oil juice.